Most bugs live in dirt or a nice flowering bush at best but that is no reason to sacrifice style or comfort. Why not give your POW bug a home that meets the Geneva Bug Convention Codes with this cosy critter case. 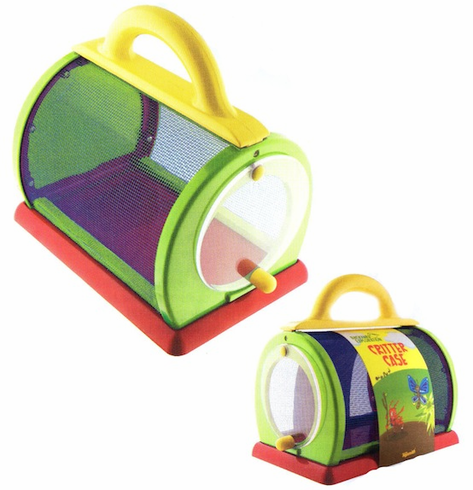 Bugs, frogs and butterflies will all fit comfortably inside the sturdy plastic case with fabric mesh. It is roomy at 7 1/2" x 5 1/2" X 8 1/2" and includes a carrying handle. No matter how attached your get to your captive critter though the most humane thing to do is to free your prisioner after you are done investigating him or her.